Most people don't think about what their eating when they shop for groceries. They buy what's on sale, what they have a coupon for or if there's a two for one deal, ect. Does this sound like you? But what you may not realize is what's in the food you're buying could be toxic and dangerous to you and your families health. So why buy organic? You don't want to pay those ridiculous prices right?! But not educating yourself on the difference in the quality of food you're buying now could be a huge mistake later in life. And I mean killer diseases like cancer, heart disease as well as aches and pains, increased aging (lines and wrinkles), and the list goes on. Once you educate yourself about what you're really eating, there's a big difference in the quality between conventional and organic food. With dangerous chemicals, pesticides, antibiotics and hormones added to our produce and meats with no regulation from the Federal Government or FDA, eating conventional, can be more dangerous than you think. But Europe and other countries have banned almost all toxic chemicals, pesticides and hormones in their food. They simply won't stand for toxic chemicals in their food and studies show their much healthier than we are. Many people don't realize how toxic 85% of the food in the grocery stores are these days. Especially baby boomers. Because back in their day, everything was healthy and natural, very few chemicals were added to the food. Alot has changed since those days. Buying organic as much as possible is absolutely essential for you and your families health now and later in life. Here's why. 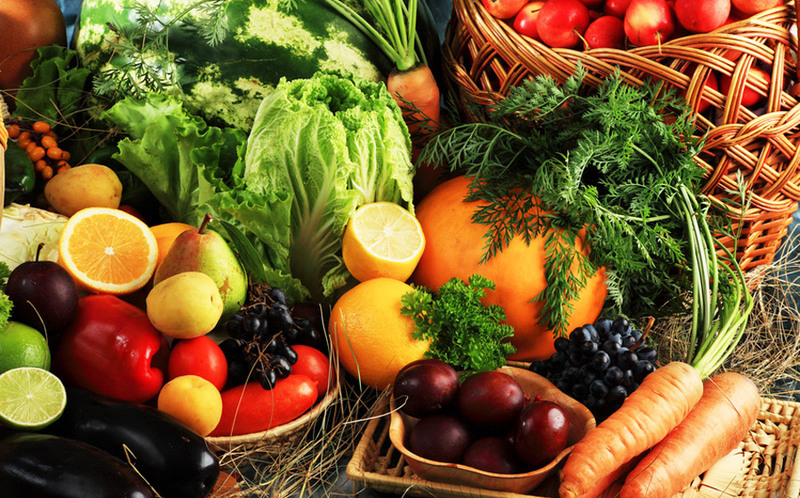 Organic foods, especially raw or unprocessed, contain higher levels of beta carotene, vitamins C, D and E, health promoting polyphenols, cancer-fighting antioxidants, flavonoids that help ward off heart disease, essential fatty acids, and essential minerals. On average, organic is 25% more nutritious in terms of vitamins and minerals than products derived from industrial agriculture. Since on the average, organic food's shelf price is only 20% higher than chemical food, this makes it actually cheaper, gram for gram, than chemical food, even ignoring the astronomical hidden costs (damage to health, climate, environment, and government subsidies) of industrial food production. Levels of antioxidants in milk from organic cattle are between 50% and 80% higher than normal milk. Organic wheat, tomatoes, potatoes, cabbage, onions and lettuce have between 20% and 40% more nutrients than non-organic foods. Organic food also contains qualitatively higher levels of essential minerals (such as calcium, magnesium, iron and chromium), that are severely depleted in chemical foods grown on pesticide and nitrate fertilizer-abused soil. UK and US government statistics indicate that levels of trace minerals in (non-organic) fruit and vegetables fell by up to 76% between 1940 and 1991. Do you want real or fake? But your groceries are real because the grocery store sells them right? Wrong! Most of what you're buying is full of chemicals and way too much sugar. It's not as nutritious as you might think. Food companies also put additives in the food to make you addicted to the food so you're craving it all the time, hence you spend more at the grocery store. Organic food doesn't contain food additives, flavor enhancers (like MSG), artificial sweeteners (like aspartame and high-fructose corn syrup), contaminants (like mercury) or preservatives (like sodium nitrate), that can cause health problems. Eating organic also has the potential to lower the incidence of autism, learning disorders, diabetes, cancer, coronary heart disease, allergies, osteoporosis, migraines, dementia, and hyperactivity. Organic food doesn't contain pesticides. More than 400 chemical pesticides are routinely used in conventional farming and residues remain on non-organic food even after washing. When produce is sprayed, the person spraying your food to "prevent pesticides" is in a hazmat suit. And your eating that. Still want that apple or banana? Children are especially vulnerable to pesticide exposure. One class of pesticides, endocrine disruptors, may be responsible for early puberty and breast cancer. Pesticides are linked to asthma and cancer. Under organic standards, genetically modified (GM) crops and ingredients are prohibited. Do you know what GMO's are? If not, google it. It's pretty scary! GMO's (Genetically Modified Foods) are in 80% of store bought food and their not going anywhere anytime soon because the FDA says it's A-ok! In lab tests, rats fed GMO corn developed golf ball size tumors and died within weeks! Still want that cheap can of soup or packaged dinner? Because GMO's are in almost everything now days because their cheap ingredients! Europe has completely banned them. * Organic animals aren't given drugs. Organic farming standards prohibit the use of antibiotics, growth hormones and genetically modified vaccines in farm animals. Hormone-laced beef and dairy consumption is correlated with increased rates of breast, testis and prostate cancers. * Organic animals aren't fed slaughterhouse waste, blood, or manure. Did you know conventional meat is? Gross right?! That means you're feeding you and your children possibly diseased meat! Eating organic reduces the risks of CJD, the human version of mad cow disease, as well as Alzheimer's. * Organic animals aren't fed arsenic or fed byproducts of corn ethanol production (which increases the rate of E. coli contamination). Did you know that was in your everyday grocery store meat? * Organic crops aren't fertilized with toxic sewage sludge or coal waste, or irrigated with E. coli contaminated sewage water. * Organic food isn't irradiated. Cats fed a diet of irradiated food got multiple sclerosis within 3-4 months. * Organic food contains less illness-inducing bacteria. Organic chicken is free of salmonella and has a reduced incidence of campylobacter. Not to mention, the amazing benefits of consuming organic produce for glowing, healthy skin and hair. If your skin is dull, breaking out, discolored or blotchy and your hair is dry and dull, chances are you need to switch to organic produce and consume as much as possible because your body is lacking all the beneficial nutrients it needs to fight off bad bacteria. If you want to feel amazing, loose weight effortlessly and have glowing skin and hair, you've got to feed your body the best possible quality ingredients. Veggies and fruits naturally detox your system. They get rid of the bad bacteria and leave the good. Which allows your true beauty to shine through. So try to add more of the good organic stuff, throw out the processed junk, and you'll feel and see the difference in no time!